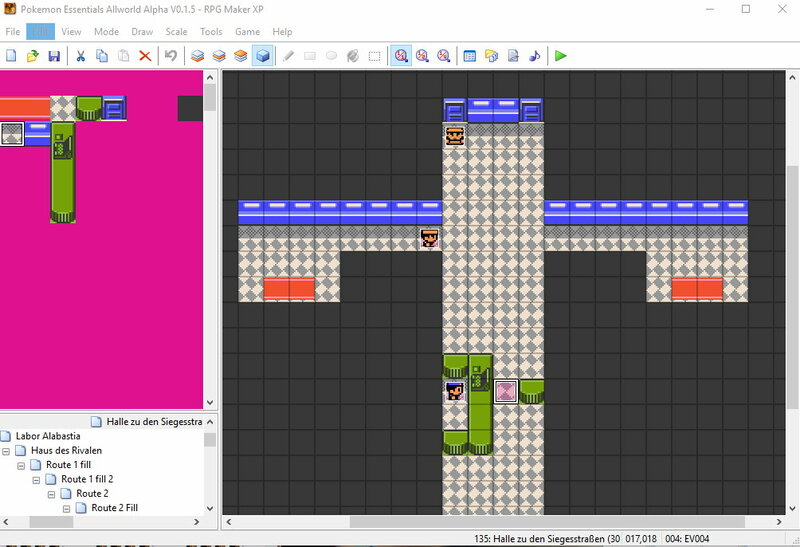 Hi I'm on making a RPG Maker XP game called: Pokémon Allworld. I have more Alpha Versions realesed. This game is in german, because I'm from Germany. Sorry screens i don't have at the moment but you can take the picture up on the post. This is a Pokémon RPG Maker XP game, where you can see all regions. You can catch all 807 Pokémon and a few Fakemons. You start how Ash with Pikachu, because you are to late. Ebernacher90 i see. i will post your game into pokemoner when the upgrading server is completed! Good Job! Please use the new Alpha Version, there a bug has been fixed, at Pewter city. Ebernacher90 it's updated to pokemoner.com. yeah! Ebernacher90 ok. i will update. don't worry! Do you see often on my homnpage from my game Allworld, or daily? Or should i every when I have upload an update here reply? Because tonight i Uplaod an Update. Ebernacher90 i made a link to your homepage. everyone can click and download at your page! dont worry! ok i will update your game into pokemoner.com daily. dont worry! There is a long time an update of my game. At the weekend the next update will be uploaded V.0.1.4.2.4.2 and at version 0.1.5 it will be my turn maybe this will happen at the weekend. Ebernacher90 ok, i will update it for you! can you please update the Link to the newest Version of my Game, because it is an importand Update, because the S.S. Anne and the third bagde are included. Version 0.1.5 realesed, it is playble to the thirde bagde of Kanto. A little changes in new version 0.1.5.0.1. Ebernacher90 ok, i will upload it for you soon! Thank you for Updating, the next update can takes a time, i think next month eventually.